The Kneeling Comfort Mat is ideal for occupations that require kneeling as it reduces knee trauma and lower back stress. 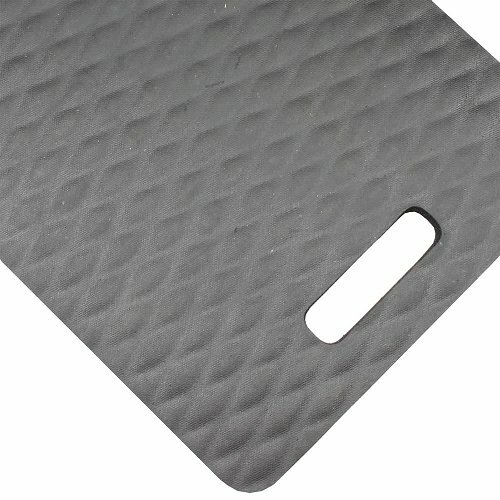 This mat will not absorb liquids and has a built-in handle that makes it convenient to carry and store. Designed for construction workers, technicians, mechanics, engineers, utility workers, manufacturers or anyone who is needed to move from place to place to carry out work. Cleans easily with soap and water. Good for resting on Gravel, Grating, Wood, High Density Metals/Alloys, Concrete and Asphalt. This material is non-conductive and absorbs minimal water. 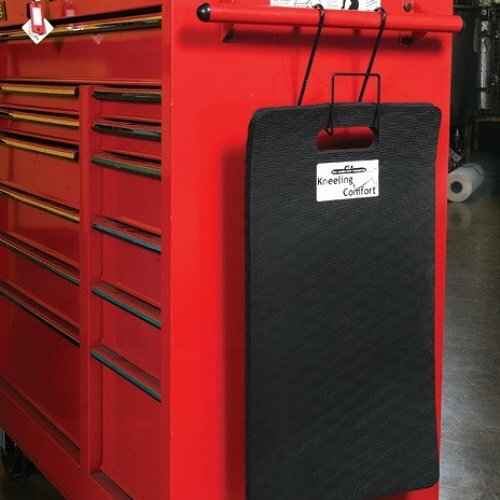 As it is so lightweight this mat can be easily moved around any work area. Surface Fabric : Thick closed cell Nitrile blend, resilient foam. 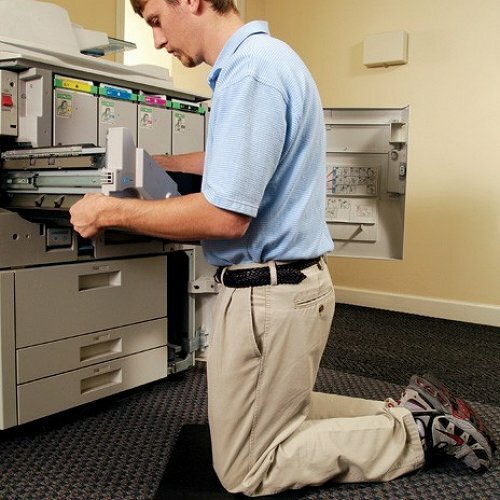 Uses : Helps relieve knee trauma and back stress for workers that kneel for extended periods.